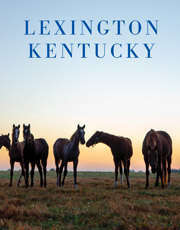 Lexington, KY - Red Mile, the 142 year old track in the center of the horse capital of the world will once again welcome fans for a Derby Day of unparalleled entertainment. Whether it&apos;s in the grandstand, on the wagering floor, or relaxing in the clubhouse, free admission to the festivities means that everyone can join in on the fun. The celebration begins at 10:00am when doors open in preparation for the first Derby undercard races. A highlight of the live entertainment offered throughout the day is Lexington based band, Encore, who will bring Motown and modern hits to the Atrium at 8:00pm. Dan Hill & Friends will play trackside starting at 1:30pm. Guests can keep it casual or don their Derby Day finery and participate in the hat contest at 4:00pm. Everything from Hot Browns ($12) to Hot Dogs, Mint Juleps ($5.25) and more will be offered at food and beverage outlets throughout the track. In the Clubhouse, Executive Chef Joe Hall offers an abundant buffet filled with comfort food classics, and Kentucky dishes from all parts of the Commonwealth. Proud Kentuckians can celebrate the state through their stomach with Burgoo, Spoon Bread, Benedictine Sandwiches, Beer Cheese, and Stack Cake or get creative with Apple, Kale, and Sweet Potato Hash and White Chocolate Bread Pudding. Tickets for the buffet are $50 and can be purchased in advance via Eventbrite or the day-of, pending availability. From 4pm-12am the Free Play DerbyFest Giveaway will be underway on the wagering floor. Every 15 minutes 3 winners will "Race to the Finish" and claim more than $4,000 worth of free Instant Racing® plays to be given away. Members of the Red Mile Rewards program are eligible to win - it&apos;s free and easy to join at Player Services. Televisions throughout the facility and a giant screen on the track will broadcast all the Derby action throughout the day, as well as the main event at 6:34pm. Red Mile will also open at 10:00am on Oaks Day for simulcast wagering. Please visit www.RedMileKY.com or contact Alex@KindlingPR.com for more information about events and promotions.